Introduce your business to consumers in Fairfield County through targeted direct mail. Advertising in The Blue Envelope® is not only affordable, but also affords you several options crafting your offer, designing your insert and choosing the format for your coupon ad. Valpak of Fairfield County can also help you keep pace with the ever-changing digital marketing world. Our team of experts is Google Ads certified and can help you develop a small business website or business profile page featuring your offers on valpak.com. When you make an investment in small business marketing, you need proof that you are getting the return you need. Valpak offers digitally integrated tracking options with our proprietary performance dashboard and call tracking tools. Get reliable proof of performance and demographic information to help you chart your company’s future. 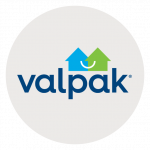 Reach out to households with buying power in the neighborhoods you choose, including Bridgeport, Stamford, Waterbury, Greenwich, Darlen, Westport and West Haven, CT with Valpak of Fairfield County, Connecticut. For specific dates and coverage, contact your Valpak of Fairfield County representative.